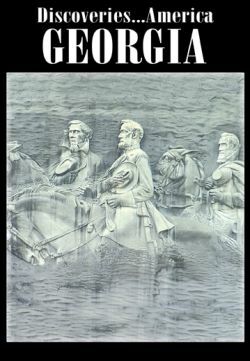 Swamp Gravy in Colquitt, Gopher Tortoise at Reed Bingham SP, Harness Horse Training in Hawkinsville, wild chickens in Fitzgerald, Jimmy Carter NHP in Plains, Cyclorama and Center for Pupperty Arts in Atlanta, and tug boats in Savannah. Exploration of Georgia starts in Savannah, one of the South�s most gracious & hospitable communities. Highlights include parks, River Street, city market and fourth largest port facility in U.S. President Jimmy Carter grew up in Georgia, his boyhood community is a national historic district where visiting students learn how a small town farm boy grew up to become President. Once stocked as a game bird, wild Burmese chickens have taken a liking to downtown Fitzgerald. Loved & hated by residents, the exotic, beautiful birds are now a part of the community. In Hawkinsville, a horse training facility has been a boon to local community - harness racers now use the facilities. 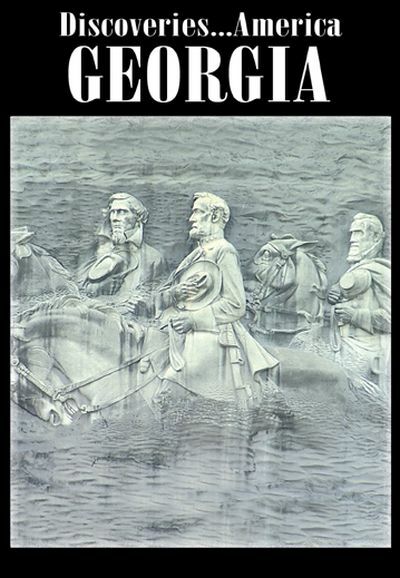 Sights from Atlanta include Centennial Park, Stone Mountain & the Cyclorama - the world�s largest oil painting features �Battle of Atlanta� from the Civil War. The Center for Puppetry Arts in Atlanta, performs segments from �Mighty Bug� & �Rumplestiltskin� and meet the puppeteers that bring the characters to life. In the foothills of Appalachian Mountains, community of Dahlonega is where America�s first gold rush occurred in 1829. Old mills still operate today and tours of the Consolidated Mine are popular. History of Cabbage Patch Kids is revealed in a visit to Babyland General Hospital in Cleveland, Georgia. The community of Colquitt, has prospered & strengthened through its storytelling & local musical performances of Georgia�s folk life play, �Swamp Gravy�. Filmed in 2005 by directors Jim and Kelly Watt.